Residents of Canaan, a settlement that appeared on Port-au-Prince’s outskirts after 209,000 Haitians were displaced in the 2010 earthquake, are getting access to financing and job training. It’s part of a $1.7 million project sponsored by the American Red Cross and USAID Haiti. PADF and Global Communities are implementing the yearlong project, called “Ann Bouste Canaan.” The goal is to promote equitable & resilient urban development by creating jobs and preparing people for the workforce. One objective of the program is to train 150 young people in vocational schools. On June 13, youth completed their training. They received certificates in sewing, after studying for several months at a vocational school run by the nonprofit INDEPCO. 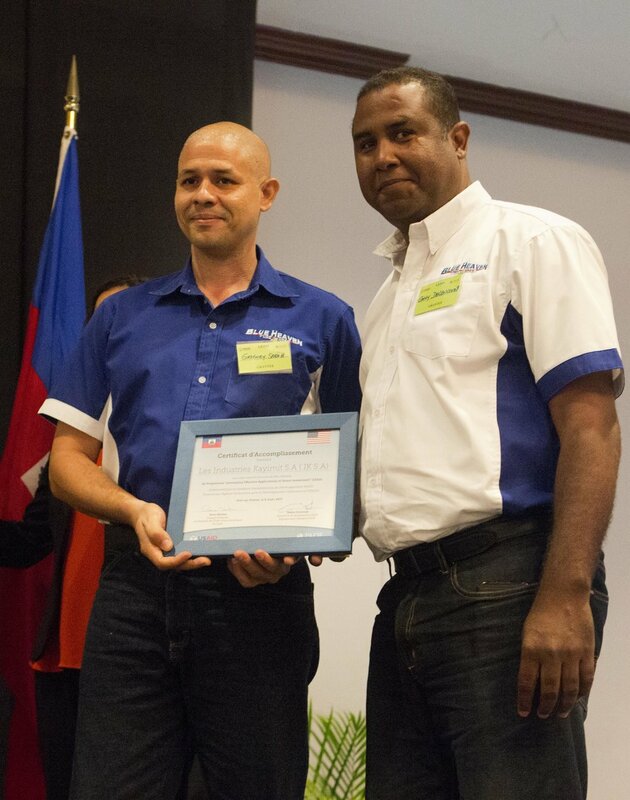 207 young Haitians received technical job training in a variety of fields. John was part of the textiles training, but 200 others his age are training in computer science, floral art, and plumbing. Upon completing the two-month training, each trainee will be integrated into the program’s employer network. The project, which started last July, has already made huge progress in training workers and equipping small businesses in Canaan. In January, over 350 entrepreneurs applied to have their ideas brought to life in a business plan competition. After a 10-stage selection process, 29 businesses were awarded funding. As a result of the funding, the winning businesses are expected to generate 400 new jobs. An additional 30 small businesses will receive technical training on microfinance and accounting, including access to online credit. Finally, 150 small business owners will get connected to microfinance institutions for financial services like micro loans and insurance. 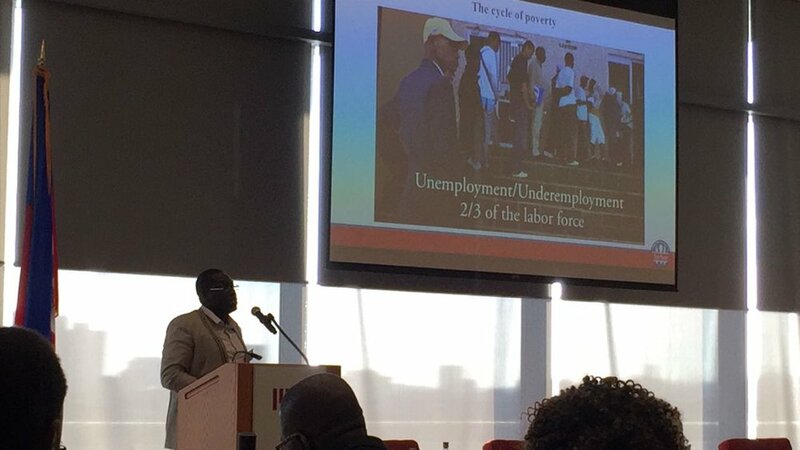 The project is launching Haiti’s working class on an upward trajectory. Young people are training and becoming workplace-ready, and established businesses are receiving the financing and technical assistance necessary for long-term growth. For young people like John, it’s a chance to have a livelihood. “I have a craft and I look forward to taking care of myself,” he says. 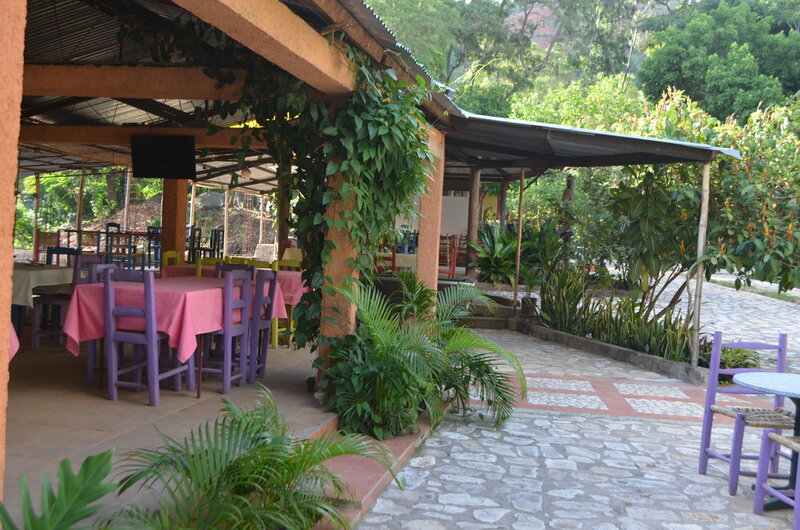 Pink hibiscus flowers greet visitors to Lakou Breda, a hotel in northern Haiti's city of Cap-Haïtien. The gardens are full of fruits and vegetables and guests can see chickens, guinea fowl and rabbits roaming the grounds. 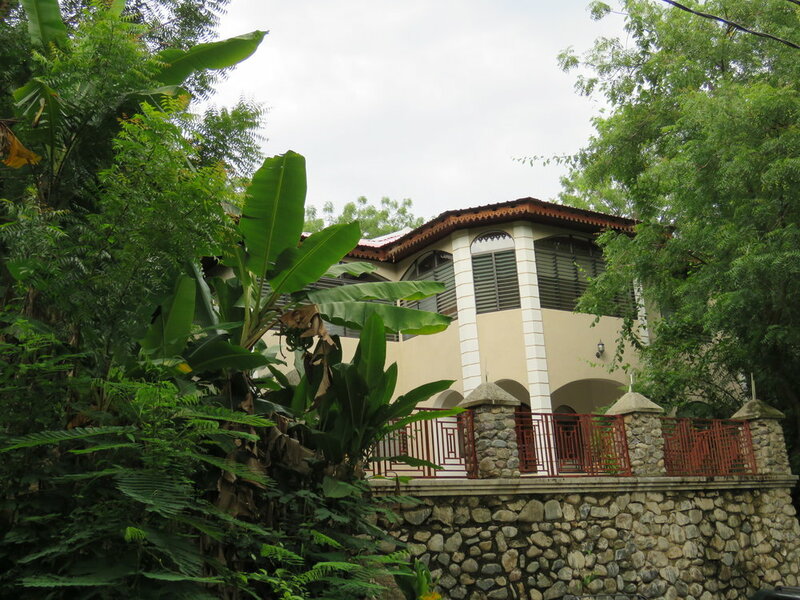 It's an oasis in the city with historic significance as the home of Toussaint L’Ouverture, leader of the Haitian independence movement during the French Revolution. At the heart of the hotel is owner Herold Decius, whose persistence and vision has created a sanctuary for the local community as well as for weary travelers. Lakou Breda also offers nature classes for young school children. Born in Cap-Haitien, Herold attended school in Canada, but longed to return to his homeland. “The day I finished university, I took a plane back to Haiti,” he says. Decius received a matching grant and technical assistance from the Leveraging Effective Application of Direct Investments (LEAD) program, funded by the U.S. Agency for International Development (USAID). 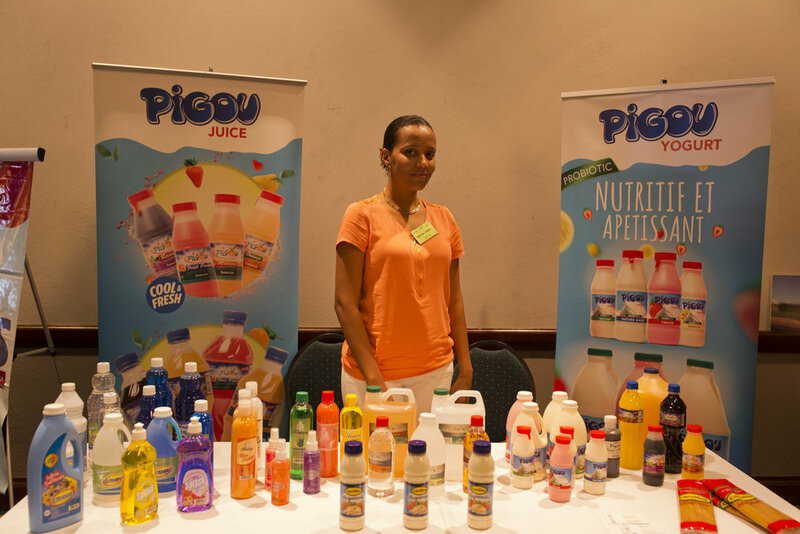 The program supports small and medium-sized Haitian business, allowing them to expand their operations, increase employment and spur economic growth. Today, the hotel includes 46 apartments and 10 bungalows. Decius is in the process of expanding the business to offer a full-service conference center and pool. Even before the construction started, the Haitan National Police came for a three-day conference. In addition to funds, LEAD is providing Decius with technical support in tourism, administration and marketing. For Decius, the secret to becoming a successful entrepreneur is never giving up. 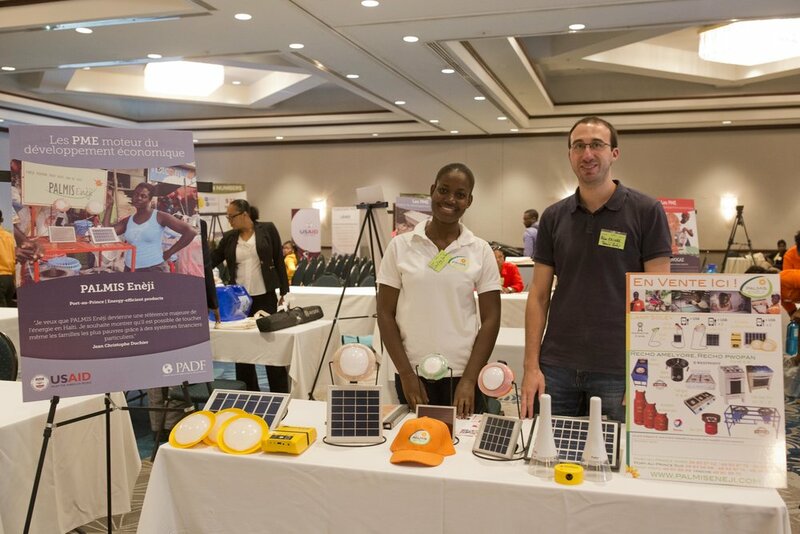 Port-au-Prince, Haiti — The U.S. Agency for International Development (USAID) and the Pan American Development Foundation (PADF) celebrated the success of dozens Haitian entrepreneurs supported by the LEAD program at a large exposition at the Karibe Hotel on June 8, 2017. 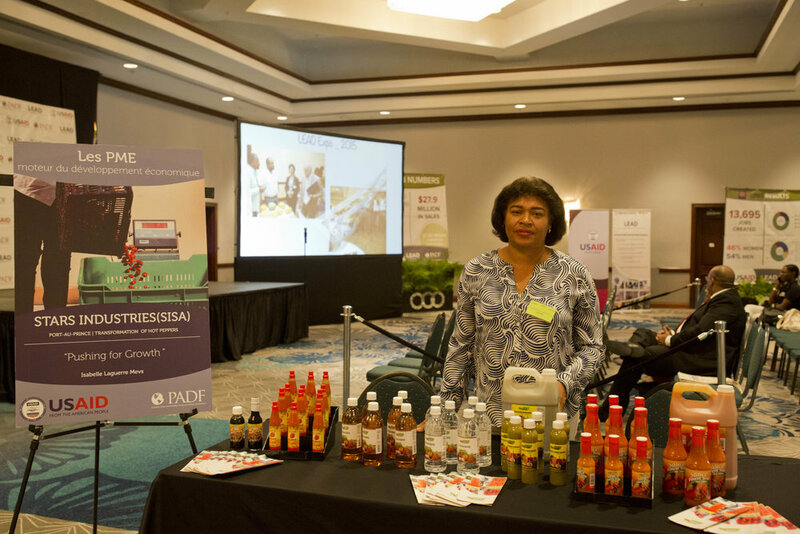 Through the LEAD program (Leveraging Effective Application of Direct Investments), USAID has provided 45 Haitian and diaspora-led entrepreneurs with the capital and technical support needed to grow their business. Implemented by the PADF, the program supports long-term economic growth in the region. Each company was awarded a grant after successfully completing a business plan competition. Together, these enterprises have created more than 13,600 jobs in Haiti and are on track to create a total of 18,000 jobs by the end of the year. Since 2011, USAID has invested $7.4 million in businesses in various sectors of the Haitian economy, unlocking $12.7 million in private capital. LEAD has also delivered more than 10,000 hours of training to entrepreneurs to build their capacity and improve business operations. Together, LEAD supported businesses— from the sanitary paper production plant to the solid waste processing plant, have generated nearly $ 28 million in sales. The event included a business-to-business networking session to help the entrepreneurs forge important relationships with financial institutions, service providers and sector experts. 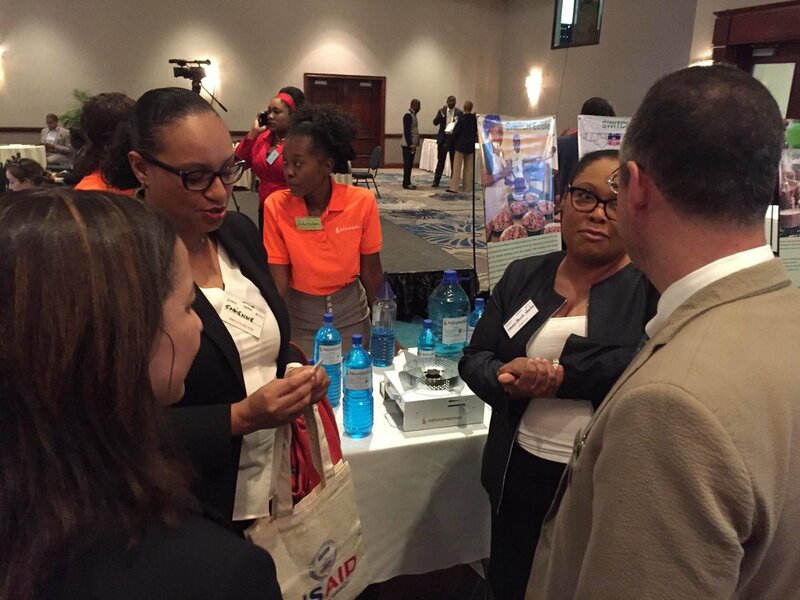 USAID’s Leveraging Effective Application of Direct Investments (LEAD) project aims to attract investments in Haitian SMEs and increase the development impact of remittances. LEAD operates in the following three development corridors: Cap-Haïtien, Saint-Marc, and Port-au-Prince. The project is implemented by the Pan American Development Foundation (PADF). Since 2011, LEAD has awarded grants ranging from USD$50,000 to $200,000 to 45 small- and medium-sized Haitian enterprises, allowing them to expand their operations and increase employment. "Today, more than 62 million Americans—a full fifth of the nation—are first or second generation diasporans." Presented by a recent USAID report, this statistic exposes the potential of diaspora engagement in the United States. Although they may live far away, much of the diaspora population is still closely connected to their country of origin. Click on the photo to read the report. The report, released by the U.S. Global Development Lab, highlights several successful engagements of diaspora populations. 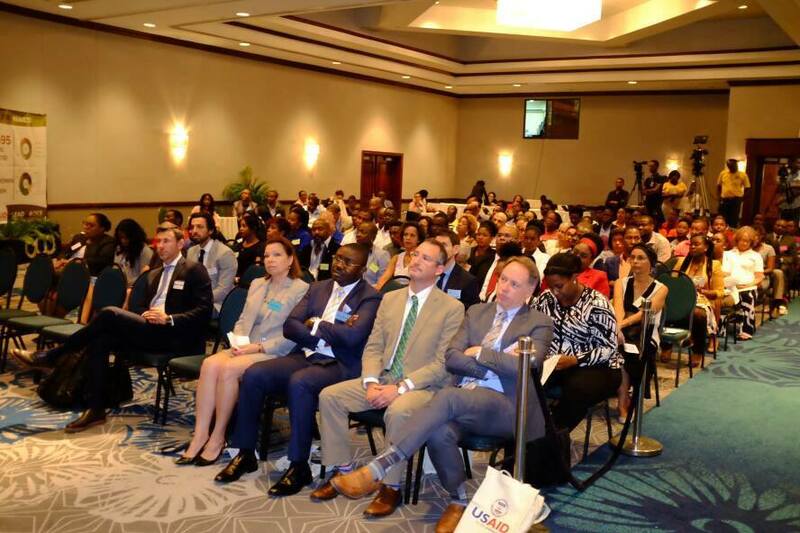 Funded by USAID, our Leveraging Effective Application of Direct Investments (LEAD) program is featured for rallying the Haitian diaspora in the United States to support Haitian businesses. The LEAD program has demonstrated a successful model for developing small- to medium-size enterprises in Haiti. Read more about the LEAD program. 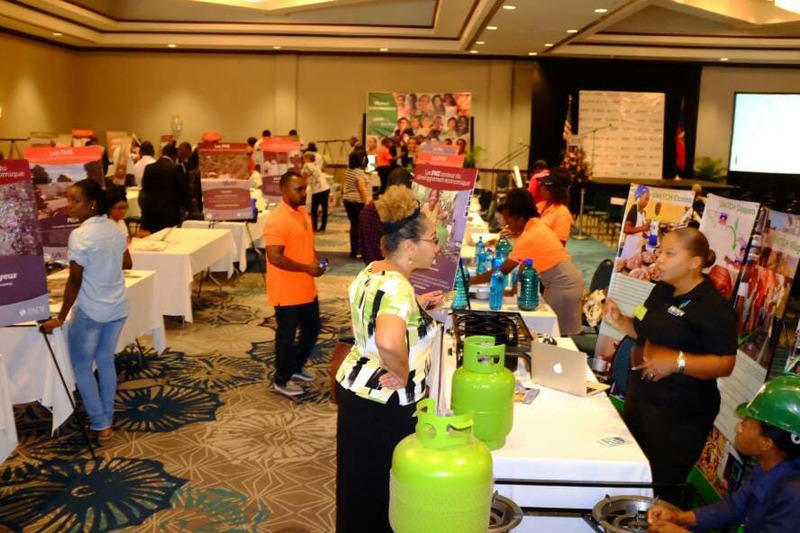 Haiti’s entrepreneurial spirit was on full display at an Expo showcasing Haitian- and diaspora-led businesses in Port-au-Prince on June 8. Dozens of businesses received funding and support from the United States Agency for International Development (USAID) through the Leveraging Effective Application of Direct Investments (LEAD) program, which is implemented by PADF. 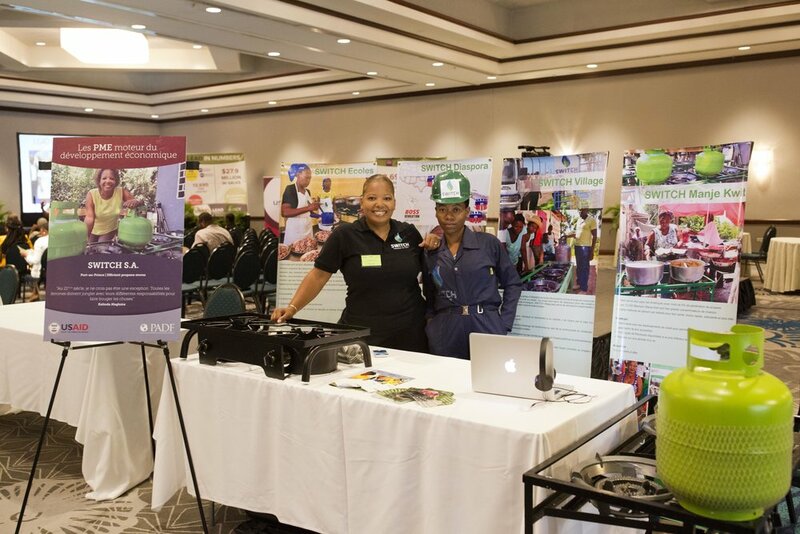 With the theme “Engines of Economic Development,” The LEAD Expo was a chance for entrepreneurs to network and display their products to members of the public and private sectors as well as potential investors. 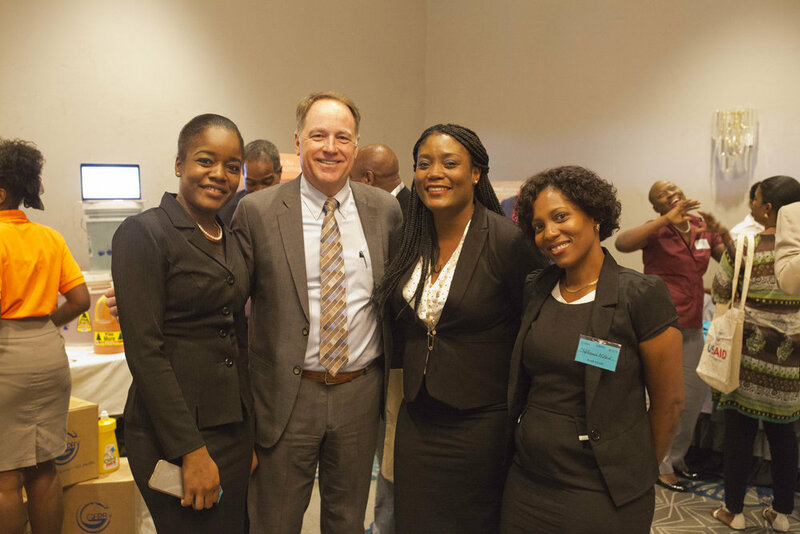 U.S. Embassy Chargé d’Affaires Brian Shukan congratulated the entrepreneurs on their success. “Today we celebrate you all as you display Haiti's economic potential,” he said in his remarks. Several of the LEAD entrepreneurs also spoke about their experiences running businesses in Haiti. In total, the 45 LEAD enterprises have stimulated the Haitian economy by creating 13,695 jobs and producing $27.9 million in sales. LEAD aims to facilitate the mobilization of investment capital from the diaspora and other sources and to increase the impact of that investment in small businesses and community-based social enterprises. Since 2011, USAID has invested $7.4 million in businesses in various sectors of the Haitian economy, unlocking $12.7 million in private capital. Guatemala City, May 4, 2017 - A yearlong food security and disaster risk reduction project in Guatemala ends today with successful results. 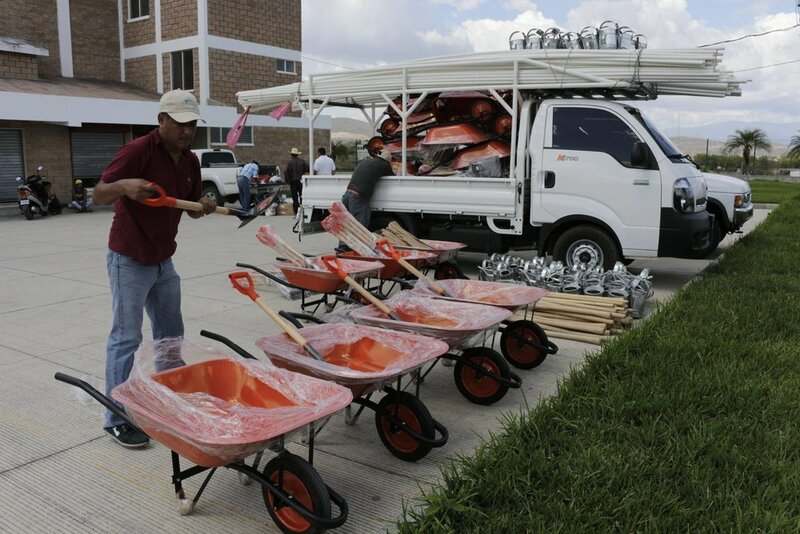 The "Yo Me Adapto" (I adapt) program, funded by the U.S. Agency for Foreign Disaster Assistance (USAID/OFDA) and implemented by PADF, helped vulnerable communities in the municipalities of Sansare and Sanarate in El Progreso Department. Through training offered to farmers in the region, PADF encouraged the use of new, climate-smart farming techniques. The initiative helped farmers maximize crop yields and mitigate food insecurity in Guatemala in a sustainable way. PADF worked with farmers affected by the worst drought in Guatemala in decades. By sharing methods to improve crop productivity in affected areas, PADF managed to improve the lives of approximately 9,000 farmers and their families facing severe food insecurity. PADF worked with with the Universidad del Valle de Guatemala (UVG) to expand and strengthen the existing network of Rural Development Learning Centers (CADER), managed by the Guatemalan Ministry of Agriculture, Livestock and Food (MAGA). Throughout the project, PADF established 20 new CADERs and strengthened the capacity of an additional 40 centers. An average of 25 families participated in the agricultural activities and training of these spaces. A demonstration farm was established in Sanarate where agricultural techniques and crops in drought-prone areas were analyzed. PADF shared these best practices and technologies with the families that participated in the CADER. Through the "Yo Me Adapto" program, PADF promoted the use of greenhouses, soil conservation techniques, efficient irrigation systems and climate monitoring systems to protect crops against the inclement weather, invasive species, and to achieve better crop production. These techniques were transmitted to more than 1,500 families. "The best thing we have learned is to produce our own food, for the benefit of our children," says Elsa Maritza Ruano Morales of CADER "Los Aritos" in Sansare. "In this way we prevent diseases caused by a poor diet. In addition, we now have farming methods that are good for the environment, so that we can maintain our crops, prepare for drought and survive. " During the program, PADF and partners held workshops with 60 CADER members and provided technical assistance for the development of Community Action Plans. Through these plans, farmers were able to identify and understand threats to their food security, as well as strategies to improve food production, support income generation, and mitigate and overcome barriers to food security. To achieve this, PADF provided farmers with the tools necessary to put everything they learned into practice. The Foundation was able to provide the project beneficiaries with resources to plan and implement their action plans, through donations that included irrigation systems, greenhouses and pumping equipment. 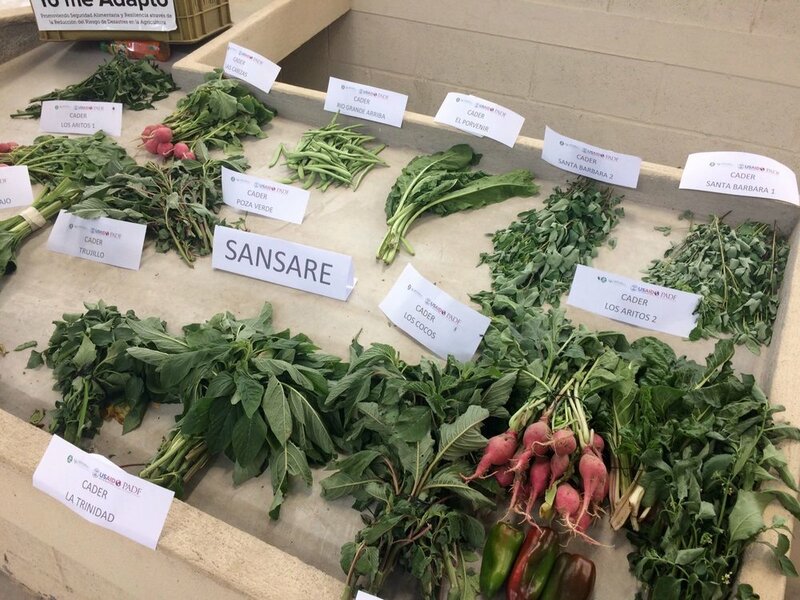 Thanks to these efforts, members of both new and existing CADERs had the opportunity to learn how to determine the best crop varieties to plant using the best equipment. They also received bean, corn and vegetable seeds, which will provide them with better food during the dry season. According to the United Nations World Food Program (WFP), Guatemala has the highest rate of chronic malnutrition in Latin America and the Caribbean. The Pan American Development Foundation, a 501(c) (3) nonprofit organization, brings together many stakeholders to improve livelihoods, empower communities, strengthen civil society, support human rights, protect the environment and respond to natural disasters in Latin America and the Caribbean. Established by the Organization of American States (OAS) in 1962, PADF has worked in every country in the region. This project is made possible by the generous support of the American people through the United States Agency for International Development (USAID). The U.S. Agency for International Development administers the U.S. foreign assistance program providing economic and humanitarian assistance in more than 80 countries worldwide. *The contents are the responsibility of PADF and do not necessarily reflect the views of USAID or the United States Government. Guatemala City (March 2, 2017) - The Program Promoting Food Security and Resilience through Disaster Risk Reduction in Agriculture ("I Adapt") seeks to help vulnerable families in the municipalities of Sansare and Sanarate in the Department El Progreso. Through trainings given to farmers, the Pan American Development Foundation (PADF) has encouraged the use of new climate-smart farming techniques. With the support of the United States Agency for International Development’s Office of U.S. Foreign Disaster Assistance (USAID/OFDA), this initiative has encouraged the use of techniques to maximize crop yields and alleviate food insecurity in Guatemala. PADF is working with farmers affected by the worst drought in decades. By sharing methodologies that can improve crops in affected areas, PADF aims to improve the lives of 9,000 vulnerable farmers and their families. In partnership with the Universidad del Valle de Guatemala (UVG), the existing network of Rural Development Learning Centers (CADERs), managed by the Guatemalan Ministry of Agriculture, Livestock and Food (MAGA), has been expanded and strengthened. Since 2016, PADF has established 20 new learning centers and strengthened operations for an additional 40, with an average of 25 families participating in the agricultural activities of each center. A “Finca Demostrativa” (Demonstration Farm) has been established in Sanarate where agricultural techniques and crops are evaluated to determine their effectiveness in areas prone to drought. PADF is sharing best practices and agricultural technologies with the families that participate in the learning centers. The program has encouraged the use of greenhouses, soil conservation techniques, efficient irrigation systems and climate monitoring systems to improve crop production. These techniques are being transmitted to more than 1,500 families. To date, PADF and partners have held workshops with 60 learning center members and provided technical assistance for the development of Community Action Plans. Through these plans, farmers are able to identify and understand threats to their food security, as well as strategies to improve food production and support income generation. Through the donation of greenhouses, irrigation systems and pumping equipment, PADF seeks to provide communities with the resources necessary to implement their action plans. Thanks to these efforts, both new and existing CADERs have the opportunity to determine the best crop varieties to be planted using quality equipment. Now, they have the tools necessary for them to put into practice what they’ve learned. They have also been given seeds of beans, corn and other vegetables to provide more food during the dry season in these municipalities. "With all that has been learned and obtained from the Pan American Development Foundation (PADF), we hope to produce more food that not only benefits our families, but also to sell our crops at the market," says Melvin Morales of CADER San Rafael, Sanarate. According to the United Nations World Food Program (WFP), Guatemala has the highest rate of chronic malnutrition in Latin America and the Caribbean. PADF has redoubled its efforts to help local farmers to be prepare for the impact of climate change and to ensure food sustainability. In this case, the community’s response allowed them to identify problems and solutions and to collaborate with PADF to mitigate food insecurity in the country. *The content is the responsibility of PADF and does not necessarily reflect the views of USAID or the Government of the United States of America. Launched in the fall of 2016, the Diaspora Challenge Initiative aims at leveraging ideas about potential development concepts among members of the Haitian Diaspora looking for opportunities to contribute to Haiti’s development. The initiative is carried out by The National Alliance for the Advancement of Haitian Professionals (NAAHP) in collaboration with the EDEM Foundation, GRAHN-USA, and the Society for Haitian Research. Funded by United States Agency for International Development (USAID), the initiative is part of the broader Leveraging Effective Application of Direct Investments program (LEAD) implemented by the Pan American Development Foundation (PADF). NAAHP and partners invited members of the Haitian Diaspora to submit their development ideas. The proposals were reviewed by a jury of experts, based on criteria including sustainability and economic impact. A mentorship program with Haiti’s graduating college students to support the municipalities (local mayors). Merging agriculture, energy and the environment using biotech and promoting cutting edge research in Haiti. For more information, visit the Diaspora Challenge Initiative website. The Jumelle family owns a rice mill in Artibonite, a fertile region known as the rice basin of Haiti. Mr. Jumelle shows the rice at the packing plant in Port-au-Prince. 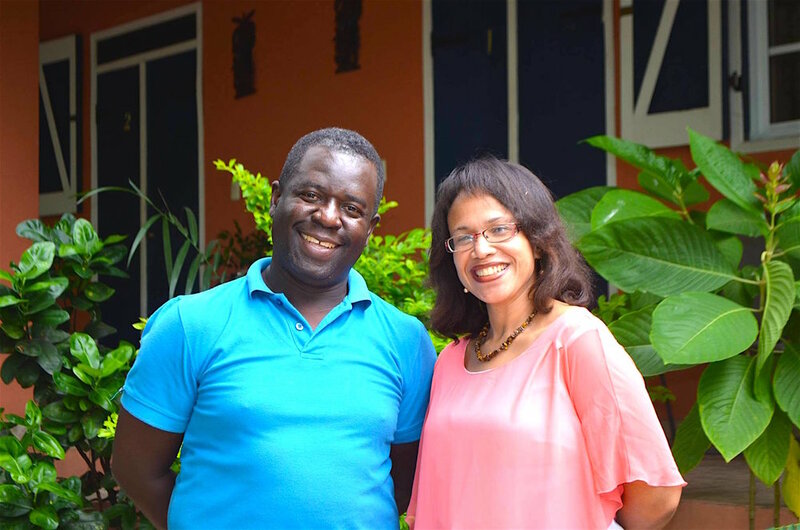 Maryse Jumelle and her husband Charles are passionate entrepreneurs who have revived a rice mill in the Artibonite region in Haiti. Charles’ family had been in the rice production business for generations. It was his wife, Maryse, who convinced him to restart operations. Known as the rice basin of Haiti, Artibonite is a rich, fertile region fed by seasonal rains and the Artibonite river. When Maryse first moved there with her husband, she didn’t know anyone in the area besides her in-laws. It is a traditional community and local farmers are afraid of modernization, she says. “But, when I arrived in the plains of Artibonite, in Pont Sonde, I found a small house—a cottage—and I said to Charles: ‘I love this place, I would really like to settle here and work in rice production.’” The couple stayed and launched Moulin Nan Noté, an enterprise that produces rice and purchases it from local farmers. They operate a rice mill and sell Haitian rice domestically. After 10 years in business, they are now looking to export as well. Rice cultivation is typically dominated by women in Artibonite and Maryse has also been instrumental in organizing a women’s association of rice producers and laborers in Saint-Marc. The association is called Fanm Plantez Renal-Preval and has over 400 members. Moulin Nan Noté’s location is extremely convenient for local farmers. It offers local producers an alternative to walking many kilometers to find a mill. Moulin Nan Noté has also built shelters to protect their rice farmers from the blazing sun while they parboil their crop. Moulin Nan Noté buys rice from local farmers, while also allowing them to use the mill for a small fee, if they wish to sell their rice directly. With funds from the Leveraging Effective Application of Direct Investments (LEAD) program, Moulin Lanoté was able to purchase equipment to modernize its operations, including cultivation, storage and packaging for sale in supermarket. LEAD was launched in 2011 by USAID to provide support for small- and medium-sized enterprises in Haiti. The program is implemented by the Pan American Development Foundation, which provides technical assistance. To date, the program has supported 31 Haitian enterprises. The company also used its own capital to match the LEAD grant and was able to purchase important equipment such as tillers and a silo. LEAD has facilitated consultations with international and local agronomists who will help Maryse and Charles to triple their production. Moulin Nan Noté sells many varieties of Haitian rice—white, parboiled, high-fiber—which they process and bag in their location in Port-au-Prince. Their product is available under the brand name Délice in 2.5, 5, 10, 25 and even 100-pound bags at supermarkets and wholesalers in Port-au-Prince. Recently, their rice was sent to a lab in Canada for testing and they are now able to add a nutrition label to their bags. 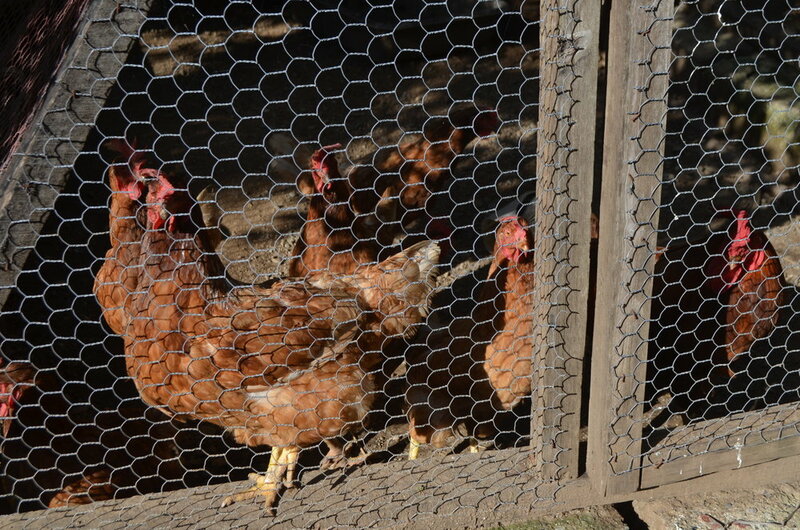 The business makes a big impact on local farmers. Before this enterprise restarted the mill, rice producer Lillianne Alexis walked very far, carrying her rice on donkeys or by motorcycle to mill it and resell it. Her rice lost value when it was broken instead of milled. Now, she says, “the machines at Nan Noté are excellent!” The proximity of the mill is also a plus for farmers as they don’t have to spend their money on transportation. Maryse and Charles are not done dreaming. After modernizing their operations, they hope to join the export market. Parboiled rice, which is beloved in Haiti, is characterized by a strong odor. Further, its processing is often done using firewood, which is a strain on local forests. Moulin Nan Noté will benefit from another USAID program called LEVE, which will help the company purchase an electric steamer and dryer. This will help farmers standardize the color and quality of the rice and reduce the odor. Moulin Nan Noté will export this rice throughout the Caribbean as well as to North America. And after that? Maryse and Charles are passionate entrepreneurs who have set their sights on expanding into rice flour production and brown rice. LEAD is proud of the achievements of these two future leaders in the Haitian rice industry and looks forward to their continued success. USAID’s Leveraging Effective Application of Direct Investments (LEAD) project aims to attract investments in Haitian SMEs and increase the development impact of remittances. LEAD operates in the three development corridors: Cap-Haïtien, Saint-Marc, and Port-au-Prince. The project is implemented by the Pan American Development Foundation (PADF). Washington, D.C (November 18, 2015) – A new program funded by the United States Agency for International Development’s Office of U.S. Foreign Disaster Assistance (USAID/OFDA) will enhance the ability of thousands of vulnerable farmers in Guatemala’s “Dry Corridor” to withstand cyclical droughts. Funded by USAID/OFDA and implemented by the Pan American Development Foundation (PADF) in collaboration with the Universidad del Valle de Guatemala (UVG), the “Yo Me Adapto” (I Adapt) project will promote climate-smart agricultural practices in drought-stricken communities in the Dry Corridor. The project will improve agricultural productivity and rural livelihoods for approximately 9,000 people in the municipalities of Sanarate and Sansare in Guatemala’s El Progreso Department. Download a fact sheet about the project. Recurring droughts over the past several years have led to crop losses, severely affecting the food supply in these underserved communities. The two-year project builds on and expands an existing network of Rural Development Learning Centers (CADERs) run by Guatemala’s Ministry of Agriculture, Livestock and Food (MAGA). Through the program, PADF and UVG will establish a master demonstration farm, which will serve as a training ground for government technicians and community leaders to learn about best practices and cost-efficient technologies for climate-smart agriculture. PADF will also establish 20 new rural centers to teach sustainable farming practices including rainwater harvesting and irrigation technologies; crop diversification; soil conservation methods; vermicomposting; and reforestation. PADF will also provide additional trainings in entrepreneurship, leadership and civic engagement, and award grants to 20 rural learning centers to develop an action plan for income generation. The Pan American Development Foundation, a 501(c) (3) nonprofit organization, brings together many stakeholders to improve livelihoods, empower communities, strengthen civil society, support human rights, protect the environment and respond to natural disasters in Latin America and the Caribbean. Established by the Organization of American States (OAS) in 1962, PADF has worked in every country in the region. In 2014, PADF reached more than 15 million people by investing over $92 million in development resources in 27 Latin American and Caribbean countries.